Welcome to the Penny Ante Racing website. This is my personal site for discussing anything automotive that crosses my mind. At the current time, that mostly stuff involving the car I'm building. 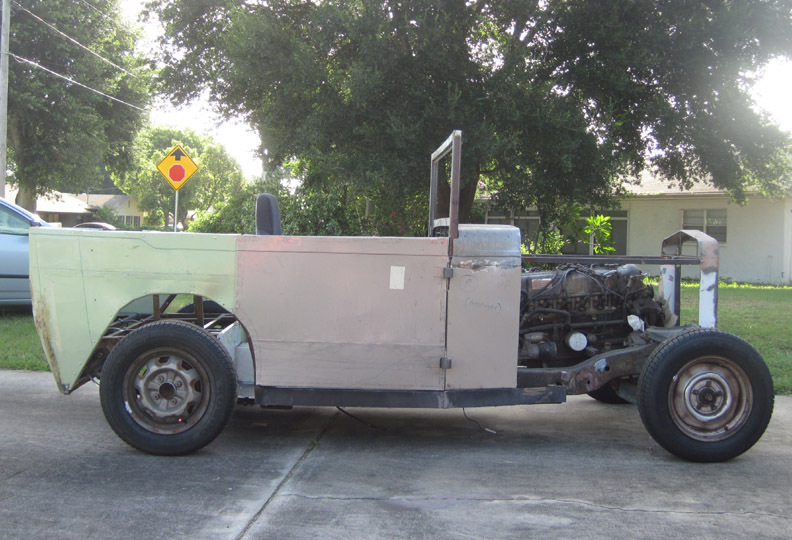 I'm fabricating a replica of a 1932 Datsun phaeton. The drive train and rear end are out of a 1982 Datsun 910 station wagon. I used locost-style construction to make the majority of the chassis, but I incorporated a pickup front end. (Why? It was easier, the parts were more durable than what I would have made, it gave me a double wishbone and rack and pinion, and I didn't have to worry about home grown rack placement messing up the ackerman angle.) You can read the latest project updates (...and my other automotive ramblings) or learn about my plans for the build. Alternately, you can read this if you don't care about my replica and just want to learn more about the 1930's cars that were built by DAT/Nissan. Naturally, my photo galleries are have lots of pictures from the datsun build, but you'll also find pictures of autocrossing with Martin Sports Car Club, going to car shows, the GRM challenge, etc. There are even a few sets that are not related to cars.